An abaya nicely worked of rhinestones and embroideries. Choose the denim skirt, flared and comfortable ! A pretty jilbab for our little muslim girls ! 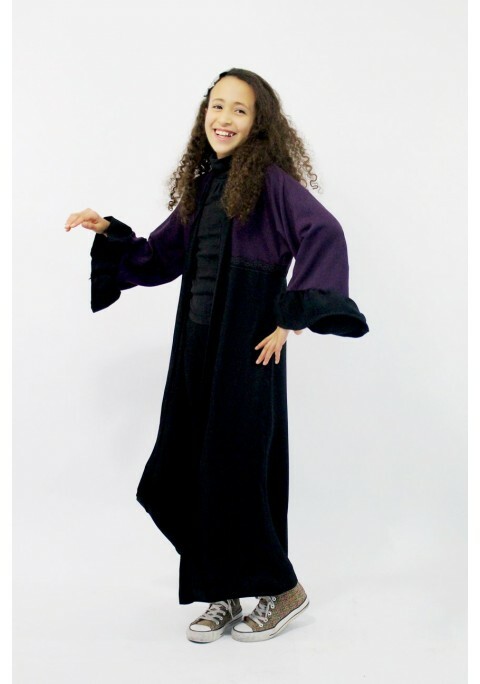 A superb abaya for little girls ! Sarouel and hijab for our little muslim girls !